← who’s got junk in the punk?! Anyway, family and friends have been my priority. Luckily, a handful of my friends are scrapbook addicts, which allows for cropping nights! I will update soon with pictures from our sparkling 4th of July weekend and some of the latest projects I have created (trust me, I’ve got LOTS because CHA is right around the corner). Anyway, my new lens took those photos. The forecast also predicts a new camera headed my way. I can’t wait. Perhaps the quality of my photos will get better. PS: Having it polished really does wonders. My bling looks brand new again. Only a few more days until fun! I get first dibs on the old camera and whatever lenses you no longer need! i dunno if i want to give up the old camera. i might use it for everyday usage… aka — going to hawaii and playing in the sand. HAHAH jk. 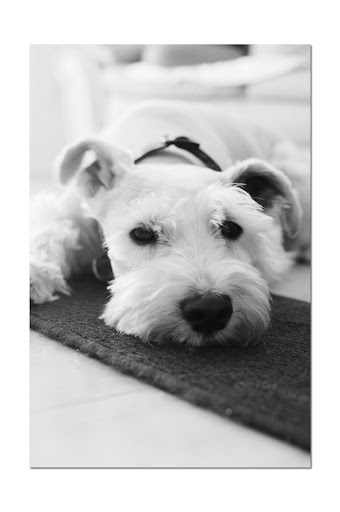 The pics of two of the cutest dogs in the world look good through my eyes. lol. It’s always hard to stay updated on computer stuff when the weather is so nice outside. Looking forward to your projects with CHA! Beautiful pics!! I was gonna ask what lens that was too! ANd a new camera…that’s always fun, but I’m like you…I kept my old one too for backup and for play! Just love those pix of the furkids!!!!!!! Have a super creative week! You forgot to mention who was the genius responsible for those photos. =P Anyway, it is sunny today, but the forecast predicts rain rain rain tonight. This is going to make for a very interesting evening in a convertible don’t you think? also today…germany vs spain. maui and hilo must be excited. ¡Me encantan tus mascotas, son tán dulces! Muy buenas fotos. Qué suerte que tienen por allí de tener el CHA! Muchos cariños desde Córdoba, Argentina. 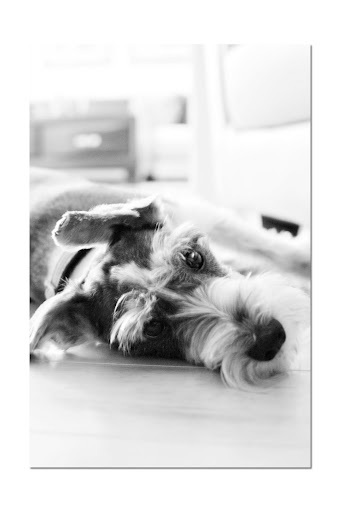 I always adore the photos of your pups – they should be published alongside your layouts! What kind of lens are you using? Because those photos are fantastic! I can’t wait to see all the scrappiness you have up your sleeve! I’ve missed you. And the eyes of pup #1 just make me want to give him a big hug. Love the black and white, too. awww, i have missed you too, my friend! 🙂 glad to be back. Love the depth of field with the new lens! THe photos look great. May I ask which lens you got? the photos are beautiful! you go girl! i’m sure you’ll take amazing photos! can’t wait to see! glad you’re having fun with the family and i’m SO JEALOUSE that you have all those scrappy friends! Mine don’t scrap! whats up with that?